Veterans Memorial Park of Kentucky, a 33,000+ square foot dedicated area, will lie adjacent Veterans Memorial Parkway, a named segment of KY 329 in Crestwood, Kentucky. The Park will be built in a 4-school complex. 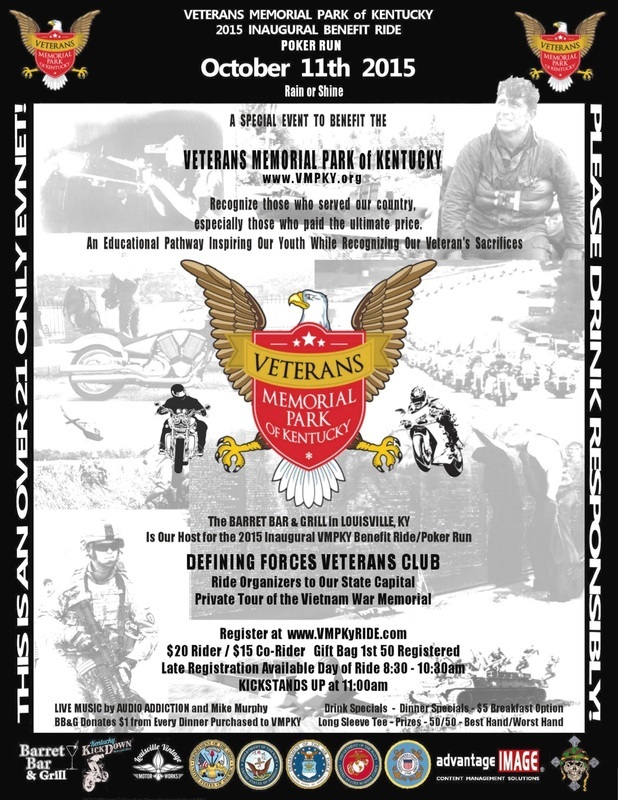 Veterans Memorial Park of Kentucky, Inc., a 501c3 organization, will unveil markers each year that will serve to remind us of our veterans, especially those who made the ultimate sacrifice to preserve our American freedoms. With more social history being taught in the education systems, less military history is being taught . . . and, the history in textbooks are being rewritten. The project will address these situations in a meaningful manner, including DIRECTLY involving youth in the project. Youth involvement and education is what will make Veterans Memorial Park of Kentucky one of the most unique parks for veterans in America. In addition, senior citizens who will provide guided group tours to groups. "Potentia Labs (www.PotentiaLabs.com) has been approved by the VA's Office of Innovation to submit a full proposal on how we can customize our psychological, social and emotional development platform specifically for the VA and the Veterans who need it. The purpose of our proposal is to lower the barrier for Veterans to begin developing essential mental skills and beliefs. Doing so can strengthen their outlook on life, their mindset to overcome obstacles and their ability to flourish in everyday situations. And for the ones who really need professional help, it could provide an easier transition for them to be more receptive to other mental health programs. The best part is these skills are beneficial for everyone to develop and our feedback so far is it's easier for people to engage with because it's online and it's automated. They only need access to the internet and our web app will customize the experience and skills development based on each individuals starting point. Finally, I have created a short 10 to 12 question survey and the answers are completely anonymous. This is not a mental health survey, but questions that will help us test our hypothesis. I would greatly appreciate it if you would please click the link below, or paste it in your web browser and answer a couple of questions. It should take less than 120 seconds and your answers will help us prepare this proposal and personalize it for Veterans. 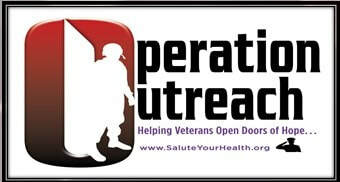 Please also pass this link on to any other Veterans you know. And feel free to message me with any questions, comments, or thoughts. WHAT IS THE COMPASSIONATE ACCESS, RESEARCH EXPANSION AND RESPECT STATES (CARERS) ACT, AND WHY SHOULD YOU CARE? Here are the key points of CARERS (taken directly from Sen. Rand Paul’s (R-KY) website. The CARERS Act amends the Controlled Substances Act so that states can set their own medical marijuana policies. The patients, providers and businesses participating in state medical marijuana programs will no longer be in violation of federal law and vulnerable to federal prosecution. (2) Reschedule Marijuana from Schedule I to Schedule II, Recognizing "Accepted Medical Use"
Marijuana is currently listed as a Schedule I drug, meaning it does not currently have accepted medical use in the United States. The CARERS Act moves it to Schedule II, recognizing what Americans already know: marijuana has a legitimate medical purpose. The CARERS Act amends the Controlled Substances Act to remove specific strains of CBD oil from the federal of definition of marijuana. This will allow youth suffering from intractable epilepsy to gain access to the medicine they need to control their seizures. Doctors in Department of Veterans Affairs facilities are currently prohibited prescribing medical marijuana. The CARERS Act would allow VA doctors to recommend medical marijuana to military veterans. Right now, medical marijuana business is a cash business. 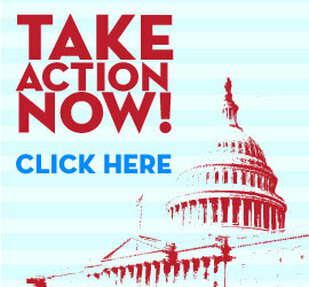 The CARERS Act provides a safe harbor to banks and credit unions, their officers and employees that provide financial services to marijuana-related businesses that engage in activities pursuant to state law. The CARERS Act removes unnecessary bureaucratic hurdles for researchers to gain government approval to undertake important research on marijuana. The video posted below is an excerpt from the national Press Conference announcing this new legislation. Introduced by Sen. Cory Booker (D-NJ), T.J. Thompson, a Navy veteran from Virginia, speaks powerfully in favor of passing CARERS “immediately”.